An FPT Software request to pilot its self-driving cars in Vietnam’s hi-tech zones and software parks has received a positive response from the Transport Ministry. The ministry said it supports FPT’s plan because it was in line with global trends and confirmed to the Government’s agenda to foster the fourth industrial revolution (Industry 4.0). It instructed FPT to seek authorization from the high tech parks’ management board before testing the autonomous cars on internal roads of the Saigon High Tech Park in Ho Chi Minh City’s District 9 and take responsibility for traffic security during the trial. The tech giant has also been asked to report on tests carried out with the driver-less car and propose solutions to tackle any possible problems that may arise once it is put to test on public roads. Pham Minh Tuan, general director of FPT Software, said that the company had established two years ago a strategic unit specializing in automotive technology solutions. FPT Global Automotive (FGA) has three main focuses: self-propelled car, safety system, and entertainment system, he said. The unit now has a 2,000-person team dedicated to hardware and software development, and mechanical design. It is ready to develop most of the car’s functions, he said. FPT had introduced the first self-propelled car in Vietnam on October 31, 2017. 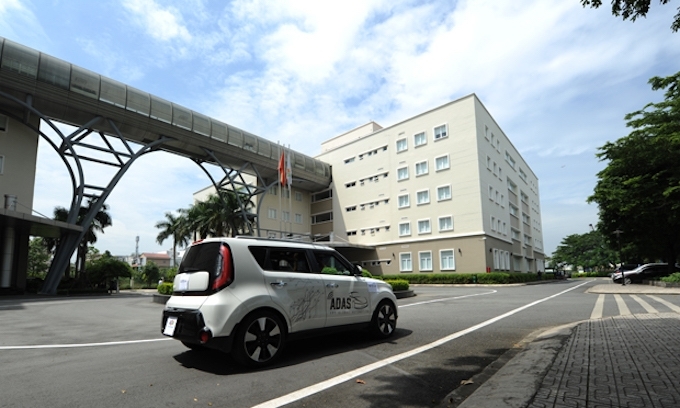 The Hanoi-based company has been operating autonomous cars around the FPT complexes in the central city of Da Nang and F-town campus within the Saigon High Tech Park. The self-driving vehicles have an average speed of 20-25kph and can reach up to 40kph on straight stretches. They can self-align, change lanes and avoid obstacles or tripping when needed. The vehicles have had over 1,000 hours of self-steering, with no problems in weathering different conditions including sunshine, rain and low light. FPT is working to perfect the vehicle’s brake system and other functions like GPS, direction guide and built-in voice response control. The new initiative builds on FPT Software’s work in implementing more than 150 projects in the automotive industry for more than 20 clients in Japan, South Korea, Europe and the United States. It aims to reach US$200 million in automotive-related sales by 2020, including software, design, analysis and IC design. The corporation also aims to supply 10 percent of the world’s self-propelled automotive software by 2025.